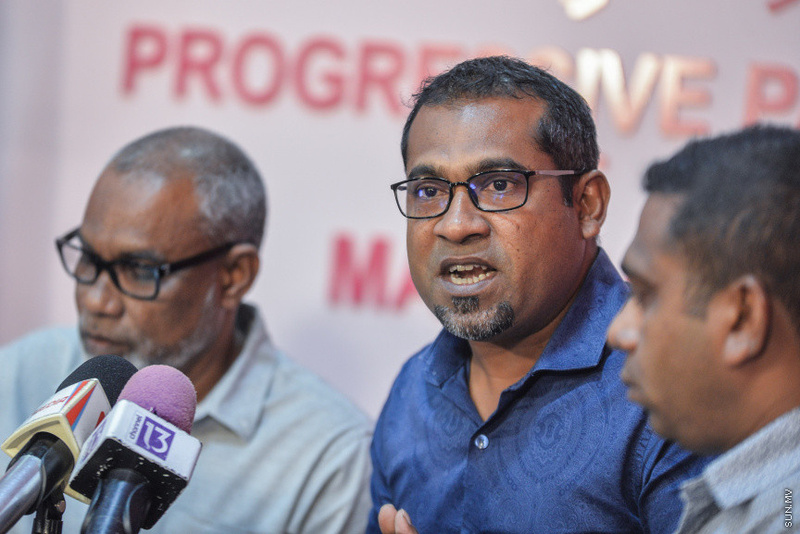 Ruling political party, PPM, has accused the opposition parties of attempts to influence the Presidential Election this September. Condemning the opposition protest in front of the Elections Commission yesterday, the General Secretary of PPM, Abdulla Haleem, said that it was an attempt to scare the members and the employees of the Elections Commission and take away the freedom of the Commission. While Haleem has Tweeted with accusations of attempting to influence the election, yesterday, he alleged that some re-registration forms filled by MDP are not being submitted to the Elections Commission. Haleem accused MDP of running background checks on re-registration forms and not submitting them to the Commission if they don't think it was a vote for them. While PPM has made such accusations, oppositions have alleged that that employees of the government offices and companies are being forced to take part in the PPM campaign for President Yameen.